Social activist and #This Flag founder Evan Mawarire has claimed that the government has been sending state agents to his home. 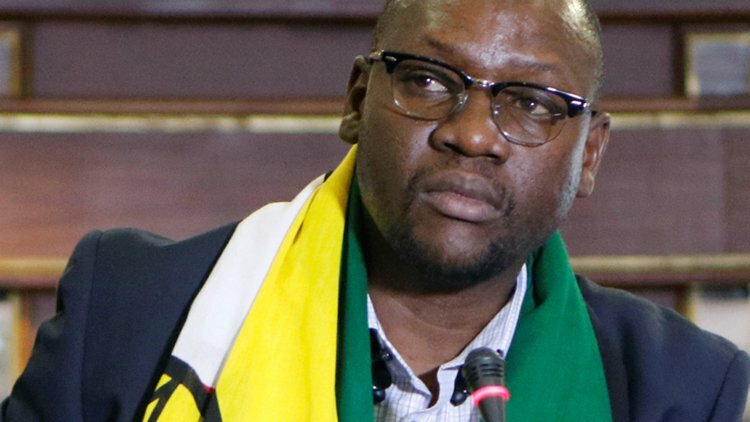 Mawarire was reacting the statement by the Minister of Home Affairs Cain Mathema the state agents will crush any demonstrations that are being planned by the opposition. On Tuesday Mathema said, "We are aware that there are some political leaders and civil organisations that are agitating for the unseating of the constitutionally elected Government of Zimbabwe through demonstrations. Pastor Evan (full name Evan Mawarire) is a Zimbabwean religious leader, Motivational Speaker, author and leader of the This Flag Movement. In April 2016 he posted a video on Facebook with the title ThisFlag which went viral spurring the start of the #ThisFlag hashtag online. He would be later arrested early July 2016 after successfully calling for a national Stay Away dubbed Shut Down Zimbabwe. Police summoned him to the Police station thereafter and on presenting himself he was arrested and taken to court the next day, however, the Magistrate Pastor Evan Acquitted Of Attempting To Overthrow The Government.